Geographer Lindsey Dillon will discuss the broad social implications of nuclear waste and radio active pollution at sites such as Hunters Point and Treasure Island. A Chancellor’s Post Doctoral Fellow in American Studies at UC Davis, Dr. Dillon is the author of several scholarly articles and a member of the California Studies Association Steering Committee. Her talk is based in part on her dissertation completed last year at UC Berkeley. The session is from 7-9 p.m. at the UC Berkeley Institute for Labor Research and Education, 2521 Channing Way, just east of Telegraph Ave. | Free admission and dinner. | Please RSVP to Myra Armstrong, zulu2@berkeley.edu or 510-643-3012. 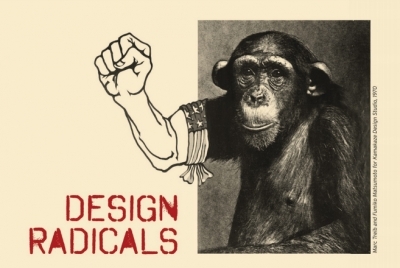 This is the 50th anniversary of the Free Speech Movement, and one of its immediate legacies was an outpouring of creative and political energy that blossomed at UC Berkeley’s College of Environmental Design in the spring of 1970. An exhibition of posters, experimental structures, and other phenomena are on display at CED’s library gallery October 16 – December 19, 2014. For more, see the CED web posting.